Learning technique or swimming distance? Technique seems to be forgotten about by swimmers/spectators! 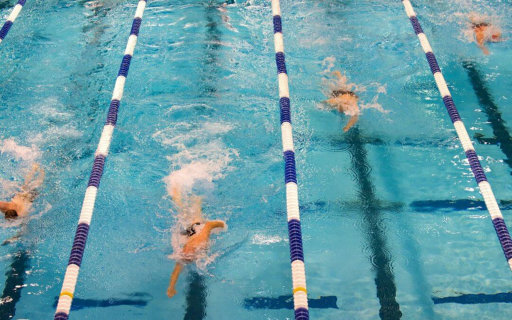 There is one noticeable stereotype that the vast majority of swimming lesson spectators share – expecting lengths to be swam back to back with little feedback. Instead allowing distance to develop with learning safe technique is more effective and efficient. Simple, technique is priority over distance! We fully appreciate that a large percentage of parents/guardians just want their child(ren) to be safe and can swim. Not everyone wants to become a competitive or Olympic swimmers (although some expect this overnight!). However, technique is still the priority over distance. Distance will come with technique! A swimmer will not be able to comfortably and safely swim 10 metres or more. How will child(ren) progress if teachers stand and watch them swim lengths up and down? Teachers also have to progress lessons and swimming stroke that is appropriate for the swimmers age/growth development. A swimmers anatomy is an important facet of swimming – how they are positioned in the water, do they float/sink, can they hold their balance and body position when bringing their arms out of the water? Technique does not just refer to how well the stroke is executed. Consider skills such as blowing bubbles, jumping, floating, mushroom shapes and somersaults, which can be covered by beginners and above. The skills used as an example above are foundations to excellent technique. For example, if a swimmer doesn’t learn inhaling and exhaling correctly with blowing bubbles, then technique such as bilateral breathing will not be mastered. Instead, swimmers will hold their breath. Another example, jumping into the pool teaches children not to fear diving, deep water but instead teaches them breathing control, builds confidence and adds fun to lessons! I could give to many examples that would make this blog a book! How long does technique take to develop? Technique is constantly being taught, the quicker the technique is grasped and mastered, the more natural and quicker the distance will come. Constant feedback with swimmers and practice is important, communicating in ways the swimmer understands. For example, simple terminology, comparing to television programmes and objects or storytelling. Equipment can be used and teacher support to further push progress and correct technique quicker. The results will be by far better than forcing swimmers to do length after length of ‘sloppy’ swimming or struggling to reach the other side of the pool. If you would like your child(ren) to learn to swim safely and learn the life skills of swimming then contact Core Aquatics today or call us on 07505 065 184! How quick should my child progress?